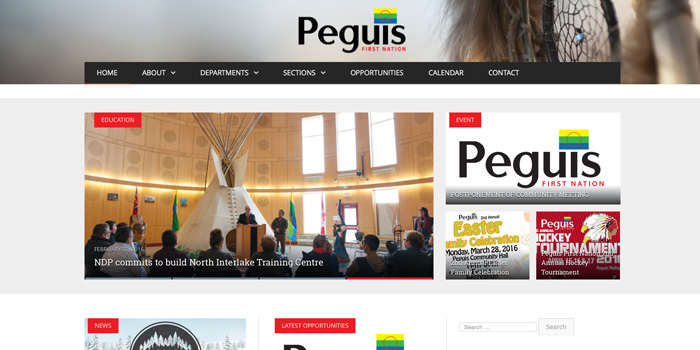 Communication was the main goal behind the Peguis First Nation website. 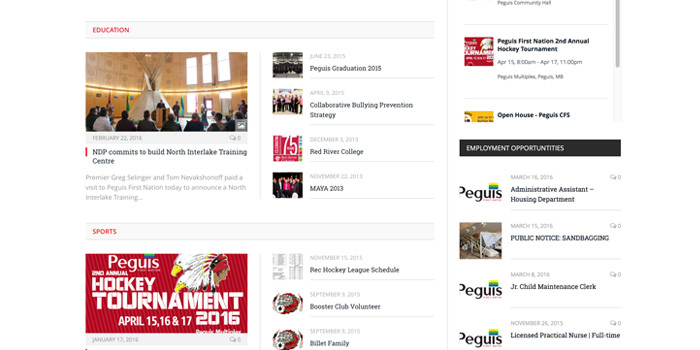 It was designed to be easy to navigate and keep the community members informed on news and information. 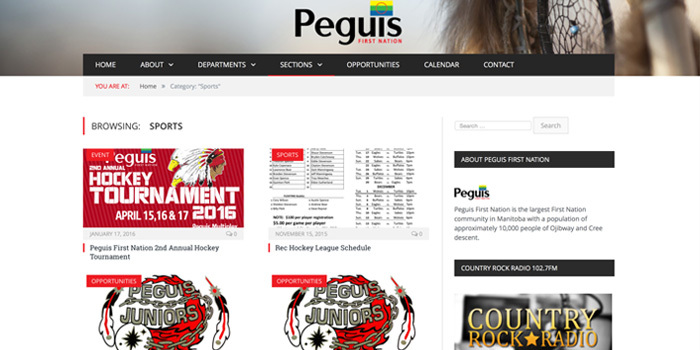 The website has an integrated event feed, latest job listings, social media integration, rich photography, live community radio streaming and a mobile version for smartphones and tablets. The homepage is constantly updating itself with the latest news and opportunities.